Incredibly unique modernized adaptations of traditional rhythms of the diverse regions of Sudan, recorded in Kuwait 1980. The “holy grail” album from Sudan. 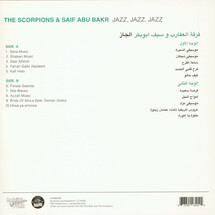 I heard about Seif Abu Bakr and The Scorpions maybe 3-4 years ago. Their album “Jazz, Jazz Jazz” ended up on my radar because of an eBay auction with the bids eventually rising daily up to a staggering 1000$. 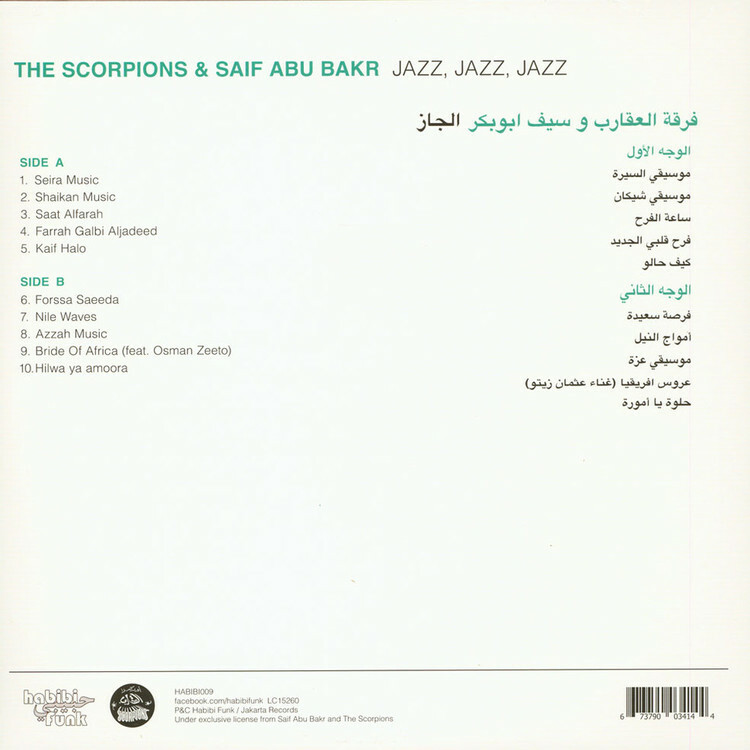 The music is a unique combination of incredible horn arrangements powerfully performed, a vigorous drummer contributing a funky backbone and Seif's vocals uniting those elements. The results range from instrumental tracks awaking memories of 1970s crime thriller soundtracks to more Sudanese-rooted tracks, a lot of them modernized versions traditional rhythms of the diverse regions of Sudan and even an excursion into Colgolese Soukouss.